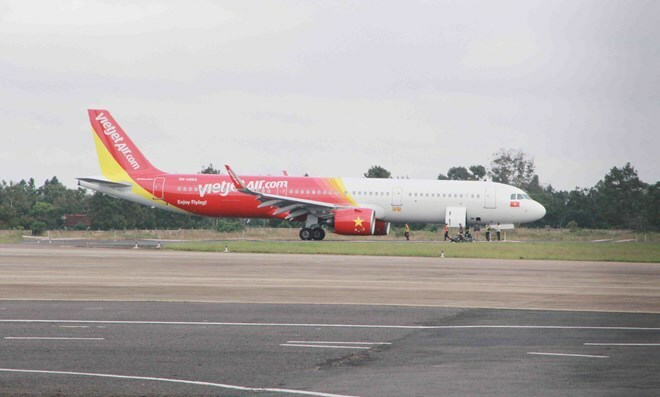 A flight of budget carrier Vietjet Air from Ho Chi Minh City encountered a problem while landing at Buon Ma Thuot Airport, the Central Highlands province of Dak Lak, on late November 29. Vietjet Air said on November 30 that all 207 passengers on flight VJ356 are safe, except for only some suffering from minor injuries who were immediately admitted to hospital for examination. Those passengers have been discharged in stable health conditions. The Airbus plane in the incident is new and was received only two weeks ago, the airline noted, adding that it is coordinating with authorities to assess the incident and support the passengers. 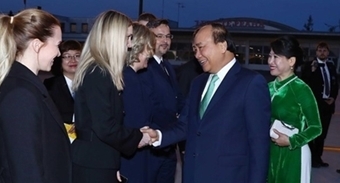 Deputy Minister of Transport Le Dinh Tho told the Vietnam News Agency that the ministry has ordered the Civil Aviation Authority of Vietnam (CAAV) to swiftly send a working group to Buon Ma Thuot to examine the situation. Tho said according to the initial report, this incident was caused by some technical problems, and the CAAV will be responsible for finding out the cause. “We have yet to be able to affirm the exact cause of this incident because it needs a meeting to make comprehensive assessment,” he noted. The Buon Ma Thuot Airport has been temporarily closed following the incident pending the arrival of a technical group from Cam Ranh airport to tow the plane from the runway. Director of Buon Ma Thuot Airport Nguyen Chanh Duy said he expects the airport will resume operation before 12:00 on November 30.